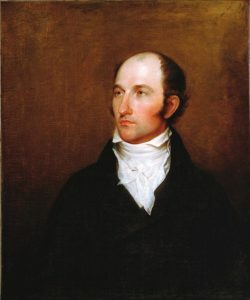 Portrait of Bartholomew Dandridge, attributed to John Trumbull, 1800-1802, oil on canvas. Image courtesy The Colonial Williamsburg Foundation, Museum Purchase. Elected to the General Court by the General Assembly on May 29, 1778, and became a member, ex-officio, of the Court of Appeals when it met for the first time on August 30, 1779. Service terminated by death.